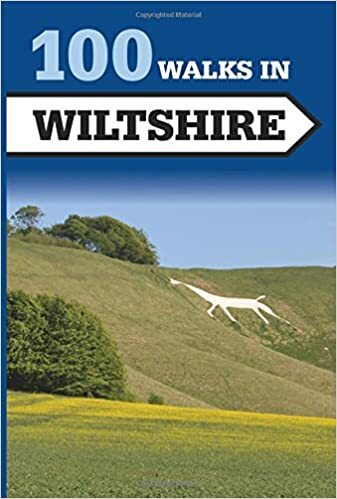 To the historically minded visitor Wiltshire is not so much a county but a treasure trove. One of England's largest counties, it's been inhabited for thousands of years. Its chalk downlands are home to world-famous prehistoric monuments like Stonehenge or the huge Stone Age city of Avebury. But the county has more to offer than stone circles. One of England's most beautiful cathedrals can be found in Salisbury, along with the ruins of William the Conqueror's great castle, Old Sarum. Bradford-on-Avon is home to a wonderful, unaltered Anglo-Saxon church and the small town of Wilton was once Alfred the Great's capital city - and the place that gave the county its name. Grand houses and beautiful gardens and parks dot the county's predominantly rural landscape. But even here, the industrial revolution has left its mark. 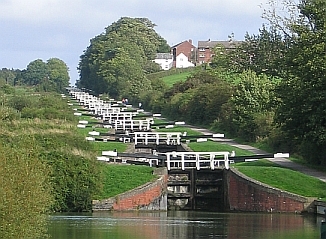 If you like narrowboats, you can take to the Kennet and Avon canal and climb the 29 locks of Caen Hill. And if steam trains are your passion, then Swindon is the place to start your exploration. Come and discover... you won't be disappointed by this ancient county. With good transport links both by rail and road, the county makes an ideal destination for a weekend break or a longer driving holiday. Find out about the weather, getting around, where to stay and where to eat. 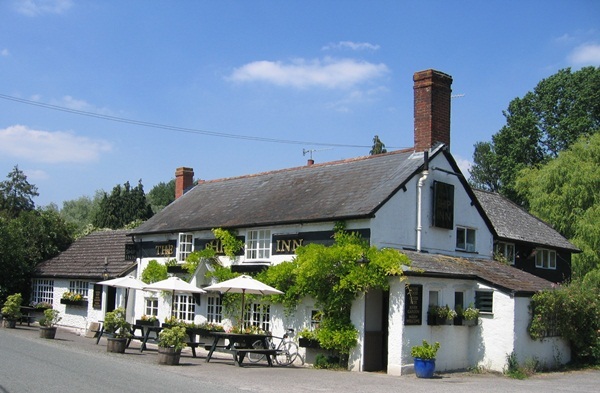 And try some of our driving tours that take in ancient monuments and picturesque scenery. For the history buff, this is a wonderful place to be. Read about the various historical periods and the events that have left their mark on the county. 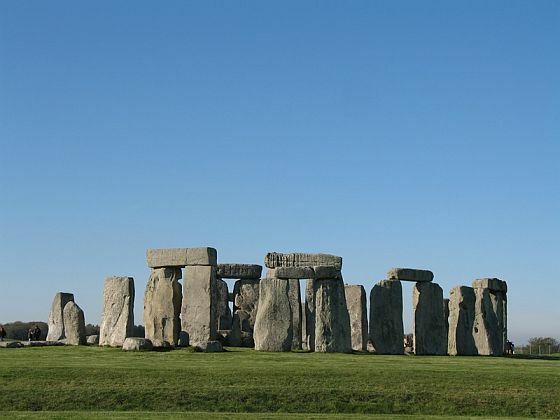 The county is justly famous for its ancient monuments: Stonehenge, Silbury Hill and Avebury, the hill forts, burial grounds and famous White Horses. Once the heartland of the Anglo-Saxon kingdom of Wessex, this county has many monuments and even a few traditions surviving from that time. Explore Wilton, Malmesbury, Marlborough and - of course - Bradford-on-Avon. Most of the county changed hands after the Norman Conquest, but due to the Domesday book we know quite well how the folk here lived at that time. And it was in Old Sarum in 1086 that all English landowners were required to swear an oath of allegiance to William the Conqueror. Go and stand in the place where it happened! Salisbury Cathedral holds a copy of the Magna Carta, signed by King John in 1215. Looking at that document made me wonder what the king felt before he put his name and seal to the parchment. Many of the county's medieval monuments have been lost - to rebuilding works, to the Reformation, to the Civil War. But some, like the copy of the Magna Carta, or Laycock Abbey are still around to be enjoyed. After the Middle Ages progress arrived here. Grand Houses were built and grand abbeys and churches destroyed. The Civil War left its mark on Marlborough, Devizes and Old Wardour. Wonderful landscape gardens were created, along with canals and steam railways. Here you'll find portraits of towns and villages. It matters little if they're large or small, busy or quiet. If they have something to offer the visitor, we'll seek them out. There's much to do here even if history is not your first love. Wide open spaces lend themselves to all manner of wonderful exploits from balloon flights to kite-flying, gliding or long walks on the Downs. See a different side of Castle Combe when you visit the motor racing circuit, try driving a steam train, unravel the mysteries of crop circles or just while the time away with a pleasant lunch in one of Wiltshire's many tiny villages. Find out about other English counties! Return from Wiltshire to the Essentially England homepage.